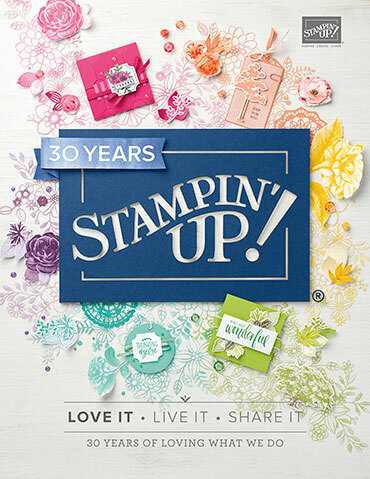 I am a Stampin’ Up! Demo, so I do receive monies from products I sell. I do not receive any compensation for any products I showcase on my blog from anyone. Christmas in July Challenge and Blog Hop Celebrating our 175th Challenge! Welcome to our huge blog hop and celebration of Send A Smile 4 Kids’ 175th Challenge! The theme of our blog hop is Christmas in July 4 Kids because it is never too early to start making holiday cards for all the kids in the many children’s hospitals we now serve. We would love for each child to receive a holiday card as well as be able to pick some for special medical staff or loved ones they are missing during the holiday season. We have 17 stops in the blog hop and at each stop you have one or two chances at winning just by leaving a comment. You can also earn a chance to win a prize by commenting on the blog post on our SAS4Kids blog and also by entering the Christmas in July challenge which starts July 21st and runs through August 3rd at noon. This is the second card I made using the Christmas Poinsettia Pack, from Fred She Said 🙂 I’m sorry, parts of this look a little blurry to me 😦 I hope you all can see it okay 🙂 I used just the Poinsettia from the pack and mounted the whole thing of Stampin’ Up! Real Red. The black paper is from Carta Bella, Christmas Delivery paper pack #2. Nope, I don’t have it sitting around, I bought it from Snap Click Supply. It’s a digital paper pack, and it printed out beautifully on Canon, Matte, photo paper. Behind the black designer paper is just some Stampin’ Up! Basic Black. For the Memory Box, Holly Vine, I used Stampin’ Up! Garden Green. I used a set by Avery Elle called Winter Woodland Wonders for the “Merry Christmas” sentiment. Lastly, I used a retired embellishment for the middle of my flower from Stampin’ Up! I cut down the hat and white hat band, it was a little too big, but it helped to have the punch 😉 The panda actually has a card in his hand. I cut out his arms and made a little Christmas gift and colored it with Stampin’ Up! markers. I drew the bow right onto his lower face 😉 The inks I used were Crushed Curry, Old Olive, Real Red and Early Espresso on the tree trunk. I enjoyed making all these cards and encourage you to check out Fred She Said and Stampin’ Up! Thank you so much for supporting Send a Smile 4 Kids and our wonderful sponsors of this blog hop. Good luck in the drawings! Leave a comment here and hop for more chances at many prizes. It’s been busy around here but I found time to make a card! 🙂 I’m glad you could join us for some inspiration! 🙂 I’m back with another card for Freshly Made Sketchs #295. Here is their sketch for this week. I like having Seasonal cards with different sentiments for the kids. There’s more going on in every Season besides a holiday or Birthday! 😉 You can add encouraging words, general sentiments, as well as Happy Fall, Happy Halloween,Merry Christmas, etc. Thank you Jill for this wide variety of wonderful cards! 🙂 Jill sent multiples of most of these cards! 🙂 A lot of cards for our Peds ICU! Tagged as Autumn, CARDMAKING, Crafts, digital image, Fall, Fred She Said, Send a Smile 4 Kids, Stampin' Up! No she didn’t supply me with any images for free, but she has tons of them, great for kids! 🙂 You can check her out on Etsy here, it’s called clipartland 🙂 These are digital images and papers, that I printed out on my personal printer. Here are some more cards. I’d also like to share another shop where I get digital images, Fred She Said Designs. I didn’t make a card to show, but I’ve made plenty of them and you can search with the bar on the left. Tracy just put up a bunch of beautiful butterflies, but she has lots of images to choose from, she also has some cut files 🙂 You can also check out her blog here. One last site that you may like for digital images is called Dollar Graphics Depot 🙂 They have some new language about “sharables” on the home page. I was confused so I asked for clarification. The response said we are free to use any of the images in the store to make cards to sell or give away, but you can’t give away or sell the digital files to others. If you’ve never used digital images, you do need to set up folders on your computer to store the files. I also use Print Shop to change the size of my images and print them. For this card I used some images from Fred She Said’s store called Daisies & LadyBugs. Right now she has brand new butterflies! 🙂 There are lots of options in her sets. Here I used a cloud background in JPG format. The flower and ladybugs are PNGs. The JPG format has a white background, the PNGs have a clear background so you can layer your images. Ok, now I know these cards were not blurry on the preview page, but the last two are blurry here 😦 Try clicking on the blurry images. The plane cards are beautiful, I’d like for you to really see them! I hope everyone is enjoying their Memorial Day weekend ! 🙂 Please remember those who have fought and fallen to preserve our way of life!